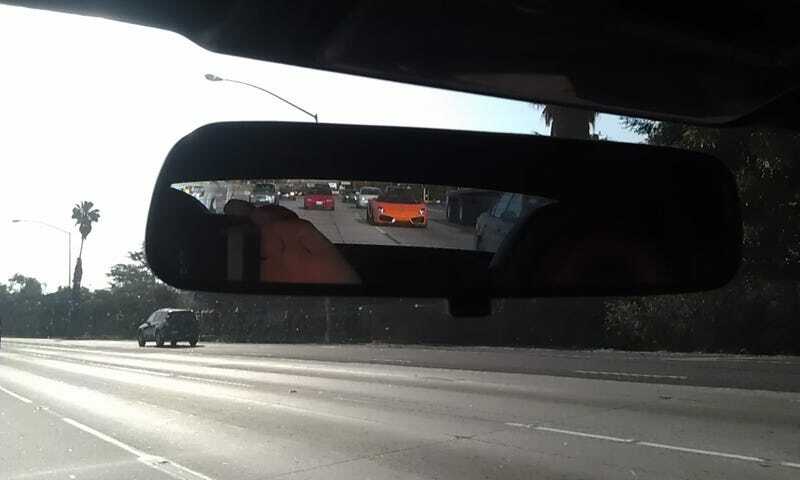 I saw a flash of orange behind me, and I snapped a pic of the rearview mirror without taking my eyes off the road. This is the result. Hey, why'd you click the Read link? Fine, have another Lambo. Or an old Fezza, if that's your thing.